Orland Park Living Will Attorney | Johnson & Johnson, Ltd. Skilled Orland Park living will attorney. Most people don’t like to think about death, yet it is something that will happen to everyone eventually. It is best to be prepared by implementing a living will. This type of document is best drafted by an Orland Park living will attorney who is experienced in estate planning. While not actually a will, a living will establishes how your medical care is to be administered should you become incapacitated. It is part of a complete estate plan. Johnson & Johnson, Ltd. offers complete estate planning services, including a living will, to help make sure that your wishes are known. A living will is a legal document that is also known as a healthcare directive, or advance directive. It provides instructions regarding important health care decisions that may need to be made. It takes effect when you are incapacitated or otherwise unable to communicate with doctors. It has no power after your death, at which time a will or trust would become important and probate may be necessary. The living will not only ensure that your wishes are followed but also allows your loved ones reassurance that the proper care is being given as you would like. An Orland Park living will attorney will answer your questions and assist in creating your healthcare directive. 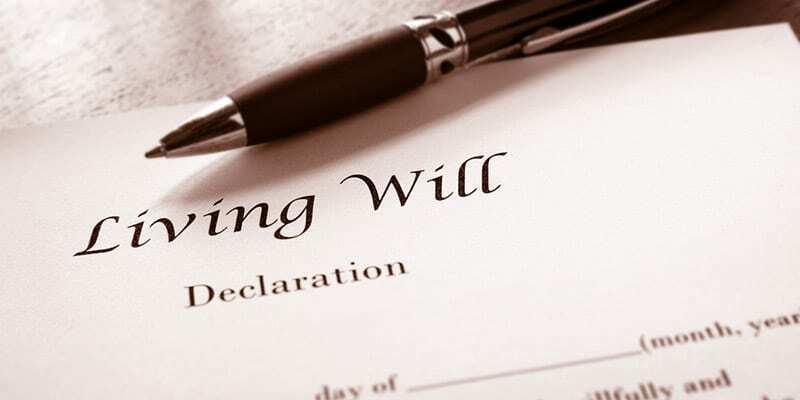 A living will is a document that is only utilized during your life. Generally, the living will includes information that is utilized by doctors and other health care professionals regarding your care. After your death, a living will is no longer utilized. At this point, your will takes over since that document contains directions for use after your death. You are in charge of your living will throughout your life and are able to make changes to it if you choose. If you become incapacitated or are unable to make decisions, the living will takes over. Your Orland Park living will attorney understands the importance of this document as part of your estate plan. A living will must be complete and accurate in order to be of any use. A living will should address necessary health concerns including instructions on specific health care choices when they are needed. The more precise the document is, the better. A knowledgeable Orland Park living will attorney understands what to include in the document and will provide the guidance necessary to create and execute it properly. Sometimes a living will may not provide the answers needed or may not be properly written or executed. Unfortunately, arguments may happen between loved ones at this emotional and difficult time. When disagreements occur it is necessary to seek help from an experienced Orland Park living will attorney. Your lawyer will evaluate the situation and litigate the matter to resolve the situation in the most favorable way possible. To avoid potential problems, it may be helpful to discuss your wishes with your loved ones and keep your estate plan up to date. These simple steps could prevent issues from occurring later on. To ensure that your estate plan is complete, accurate, and properly executed, seek help from a reputable lawyer. The legal team at Johnson & Johnson, Ltd. provides compassionate assistance to draft a living will that works for your situation. Our competent attorneys have years of experience working with these types of legal documents, so rest assured that you will get the direction required to implement a living will that reflects your desires. A living will does not need to be complicated, but it does need to be a part of your overall estate plan. Contact our law firm today to schedule an appointment to discuss your living will.